Galera, esse cara é demais... Tão bom que resolvi colocar a biografia dele no original, em inglês. Se alguém quiser, pode perdir por e-mail que eu traduzo algum pedaço que não entender. Não deixem de conhecer esse Monstro sagrado do Blues!!! Better known as Howlin' Wolf, was an influential American blues singer, guitar and harmonica player. 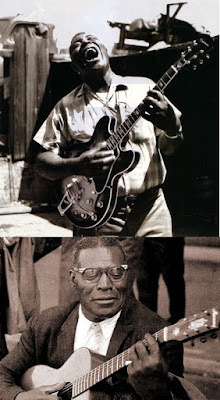 With a booming voice and looming physical presence, Burnett is commonly ranked among the leading performers in electric blues; musician and critic Cub Koda declared, "no one could match [Howlin' Wolf] for the singular ability to rock the house down to the foundation while simultaneously scaring its patrons out of its wits." Many songs popularized by Burnett—such as "Smokestack Lightnin'," "Back Door Man" and "Spoonful"—have become standards of blues and blues rock. At 6 feet, 6 inches (1,98m) and close to 300 pounds (136kg), he was an imposing presence with one of the loudest and most memorable voices of all the "classic" 1950s Chicago blues singers. Howlin' Wolf's voice has been compared to "the sound of heavy machinery operating on a gravel road". Although the two were reportedly not that different in actual personality, this rough edged, slightly fearsome musical style is often contrasted with the less crude but still powerful presentation of his contemporary and professional rival, Muddy Waters, to describe the two pillars of the Chicago Blues representing the music. Howlin' Wolf, Sonny Boy Williamson (Rice Miller), Little Walter Jacobs and Muddy Waters are usually regarded in retrospect as the greatest blues artists who recorded for Chess in Chicago. Sam Phillips once remarked of Chester Arthur Burnett, "When I heard Howlin' Wolf, I said, 'This is for me. This is where the soul of man never dies.' " In 2004, Rolling Stone Magazine ranked him #51 on their list of the 100 Greatest Artists of All Time. Born in White Station, Mississippi, near West Point, he was named after Chester A. Arthur, the 21st President of the United States, and was nicknamed Big Foot Chester and Bull Cow in his early years because of his massive size. He explained the origin of the name Howlin' Wolf thus: "I got that from my grandfather [John Jones]." He used to tell him stories about the wolves in that part of the country and warn him that if he misbehaved, they would "get him". As a youth he listened to Charley Patton, who taught him the rudiments of guitar, as well as to the Mississippi Sheiks, Tommy Johnson and Jimmie Rodgers, who was Wolf's childhood idol. Wolf tried to emulate Rodgers' "blue yodel", but found that his efforts sounded more like a growl or a howl. "I couldn't do no yodelin'," Barry Gifford quoted him as saying in Rolling Stone, "so I turned to howlin'. And it's done me just fine." His harmonica playing was modeled after that of Rice Miller (also known as Sonny Boy Williamson II), who had lived with his sister for a time and taught him how to play. He played with Robert Johnson and Willie Brown in his youth. He farmed during the 1930s, served in the United States Army as a radioman in Seattle during World War II, and by 1948 had formed a band which included guitarists Willie Johnson and M. T. Murphy, harmonica player Junior Parker, a pianist remembered only as "Destruction" and drummer Willie Steele. He began broadcasting on KWEM in West Memphis, Arkansas, alternating between performing and pitching farm equipment, and auditioned for Sam Phillips's Memphis Recording Service in 1951. According to the documentary film The Howlin' Wolf Story, Howlin' Wolf's parents broke up when he was young. His very religious mother Gertrude threw him out of the house while he was still a child for refusing to work around the farm; he then moved in with his uncle, Will Young, who treated him badly. When he was 13, he ran away and claimed to have walked 85 miles (137 km) barefoot to join his father, where he finally found a happy home within his father's large family. During the peak of his success, he returned from Chicago to his home town to see his mother again, but was driven to tears when she rebuffed him and refused to take any money he offered her, saying it was from his playing the "Devil's music". Howlin' Wolf quickly became a local celebrity, and soon began working with a band that included Willie Johnson, and guitarist Pat Hare. His first recordings came in 1951, when he recorded sessions for both the Bihari brothers at Modern Records and Leonard Chess' Chess Records. Chess issued Howlin' Wolf's How Many More Years in August 1951; Wolf also recorded sides for Modern, with Ike Turner, in late 1951 and early 1952. Chess eventually won the war over the singer, and Wolf settled in Chicago, Illinois c. 1953. arriving in Chicago, he assembled a new band, recruiting Chicagoan Joseph Leon "Jody" Williams from Memphis Slim's band as his first guitarist. Within a year Wolf enticed guitarist Hubert Sumlin to leave Memphis and join him in Chicago; Sumlin's terse, curlicued solos perfectly complemented Burnett's huge voice and surprisingly subtle phrasing. Although the line-up of Wolf's band would change regularly over the years, employing many different guitarists both on recordings and in live performance including Willie Johnson, Jody Williams, Lee Cooper, L.D. McGhee, Otis "Big Smokey" Smothers, his brother Abe "Little Smokey" Smothers, Jimmy Rogers, Freddie "Abu Talib" Robinson, and Buddy Guy, among others, with the exception of a couple of brief absences in the late '50s Sumlin remained a member of the band for the rest of Wolf's career, and is the guitarist most often associated with the Chicago Howlin' Wolf sound. In the 1950s Wolf had four songs that qualified as "hits" on the Billboard national R&B charts: "How Many More Years", his first and biggest hit, made it to #4 in 1951; its flip side, "Moanin' at Midnight", made it to #10 the same year; "Smoke Stack Lightning" charted for three weeks in 1956, peaking at #8; and "I Asked For Water" appeared on the charts for one week in 1956, in the #8 position. In 1959, Wolf's first album, Moanin' in the Moonlight, a compilation of previously released singles, was released. His 1962 album Howlin' Wolf is a famous and influential blues album, often referred to as "The Rocking Chair album" because of its cover illustration depicting an acoustic guitar leaning against a rocking chair. This album contained "Wang Dang Doodle", "Goin' Down Slow", "Spoonful", and "Little Red Rooster", songs which found their way into the repertoires of British and American bands infatuated with Chicago blues. In 1964 he toured Europe as part of the American Folk Blues Festival tour produced by German promoters Horst Lippmann and FriIn 1965 he appeared on the television show Shindig at the insistence of The Rolling Stones, who were scheduled to appear on the same program and who had covered "Little Red Rooster" on an early album. He was often backed on records by bassist and songwriter Willie Dixon who is credited with such Howlin' Wolf standards as "Spoonful", "I Ain't Superstitious", "Little Red Rooster", "Back Door Man", "Evil", "Wang Dang Doodle" (later recorded by Koko Taylor), and others. In September, 1967, he joined forces with Bo Diddley and Muddy Waters for The Super Super Blues Band album of Chess blues standards, including "The Red Rooster" and "Spoonful". In May 1970, Howlin' Wolf, his long-time guitarist Hubert Sumlin, and the young Chicago blues harmonica player Jeff Carp traveled to London along with Chess Records producer Norman Dayron to record the Howlin' Wolf London Sessions LP, accompanied by British blues/rock musicians Eric Clapton, Steve Winwood, Ian Stewart, Bill Wyman, Charlie Watts and others. He recorded his last album for Chess, The Back Door Wolf, in 1973. Chess released a Howlin' Wolf compilation album, Chess Masters, in 1981. Unlike many other blues musicians, after he left his impoverished childhood to begin a musical career, Howlin' Wolf was always financially successful. Having already achieved a measure of success in Memphis, he described himself as "the onliest one to drive himself up from the Delta" to Chicago, which he did, in his own car on the Blues Highway and with four thousand dollars in his pocket, a rare distinction for a black blues man of the time. In his early career, this was the result of his musical popularity and his ability to avoid the pitfalls of alcohol, gambling, and the various dangers inherent in what are vaguely described as "loose women", to which so many of his peers fell prey. Though functionally illiterate into his 40s, Burnett eventually returned to school, first to earn a G.E.D., and later to study accounting and other business courses aimed to help his business career. Wolf met his future wife, Lillie, when she attended one of his performances in a Chicago club. She and her family were urban and educated, and not involved in what was generally seen as the unsavory world of blues musicians. Nonetheless, immediately attracted when he saw her in the audience as Wolf says he was, he pursued her and won her over. According to those who knew them, the couple remained deeply in love until his death. Together they raised Lillie's two daughters from an earlier relationship, Bettye and Barbara. After he married Lillie, who was able to manage his professional finances, Wolf was so financially successful that he was able to offer band members not only a decent salary, but benefits such as health insurance; this in turn enabled him to hire his pick of the available musicians, and keep his band one of the best around. According to his daughters, he was never financially extravagant, for instance driving a Pontiac station wagon rather than a more expensive and flashy car. Burnett died at Hines VA Hospital in Hines, Illinois, USA on January 10, 1976 and was buried in Oak Ridge Cemetery, Hillside, Cook County, Illinois in a plot in Section 18, on the east side of the road. His large gravestone, allegedly purchased by Eric Clapton, has an image of a guitar and harmonica etched into it. The Howlin' Wolf Memorial Blues Festival is held each year in West Point, Mississippi. Wolf's Juke Joint Jam is another annual Howlin' Wolf tribute festival held in West Point. Some of the artists who have played 'Wolf Jam' include Wolf's lead guitarist Hubert Sumlin, Muddy Waters' back band of Willie "Big Eyes" Smith, Calvin "Fuzz" Jones and "Steady Rollin" Bob Margolin, Willie King, Blind Mississippi Morris, Kenny Brown, Burnside Exploration, etc. The festival is held at the 500-acre (2 km²) festival grounds know as Waverly Waters Resort, and is sponsored by 2 Brothers Brand barbecue sauce and seasonings. Burnett was portrayed by Eamonn Walker in the 2008 motion picture Cadillac Records. A recording of Howlin' Wolf was inducted into the Grammy Hall of Fame, which is a special Grammy award established in 1973 to honor recordings that are at least twenty-five years old, and that have "qualitative or historical significance." The Rock and Roll Hall of Fame listed three songs by Howlin' Wolf of the 500 songs that shaped rock and roll. On September 17, 1994 the U.S. Post Office issued a Howlin' Wolf 29 cents commemorative postage stamp. Procurem ouvir bastante Jeff Healey, garanto que vale apena, mesmo!!! Sonzeira para todas as horas! Abraços a todos. Esse cara dava até pra colocar nas duas categorias, Rock e Blues, mas vou colocar só no Blues, já que tocou bastante esse estilo durante toda sua espetacular carreira. Nascido Norman Jeffrey Healey, em 25 de março de 1966 em Toronto, no Canadá. Era um músico canadense de Jazz, vocalista de Blues-Rock e guitarrista. Era cego e desenvolveu seu estilo próprio de tocar guitarra, no colo, chamado de “Lap-Top”. Perdeu a vista aos oito anos de idade devido ao Retinoblastoma, uma espécie rara de câncer nos olhos. Aprendeu e desenvolveu sozinho seu estilo combinado com sua maneira de tocar o instrumento. Teve muita popularidade musical e pessoal, particularmente nos anos 80 e 90. Healey começou tocar guitarra quando ainda tinha três anos de idade, desenvolvendo seu estilo único de tocar o instrumento no seu colo. Quando tinha 17 anos, formou a banda “Blue Direction”, com 4 integrantes, que, no começo, tocava músicas cover de bandas de bar. Entre outros músicos, estavam o baixista Jeremy Littler, o baterista Graydon Chapman, e um colega de escola, Rob Quail, na segunda guitarra. Tocaram em vários clubes de Toronto, incluindo a “Colonial Tavern”. 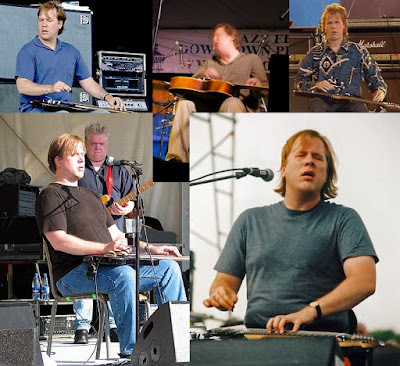 Rapidamente foi apresentado a dois músicos, o baixista Joe Rockman e o baterista Tom Stephen, com quem formou um trio, "The Jeff Healey Band". Essa banda apareceu em público pela primeira vez noBirds Nest, localizado em Toronto, no Chicago's Diner, na Queen Street West. Foram comentados na revista de Toronto NOW, e logo estavam tocando praticamente todas as noites em clubes locais, como, por exemplo, a Grossman's Tavern e o famoso clube de Blues Albert's Hall (onde Jeff Healey foi descoberto por ninguém menos que os virtuosos Stevie Ray Vaughan e Albert Collins). Depois de assinar com a Arista Records em 1988, a banda lançou o álbum See the Light, que tinha o hit "Angel Eyes" e a música "Hideaway", que foi nomeada para o Grammy para Melhor Performance de Rock Instrumental. Enquanto a banda gravava See the Light, eles também filmaram (e gravaram para a trilha sonora) do filme de Patrick Swayze “Road House”. Em 1990, ganharam o Juno Award por “Entertainer of the year” no Canadá. Os álbuns Hell to Pay e Feel This deram a Healey 10 posições nos “Charts” de singles do Canadá entre 1990 e 1994, incluindo um cover dos Beatles, "While My Guitar Gently Weeps" que tinham nada menos que George Harrison e Jeff Lynne nos backing vocals e no violão. No lançamento do álbum Get Me Some, em 2000, Healey estava um pouco cansado do mundo do rock e começou a se concentrar seus consideráveis talentos numa direção mais próxima do seu coração, o “Hot Jazz”. Foi então que lançou três CDs de sua verdadeira paixão, o Jazz americano tradicional dos anos 20 e 30. Ele esteve com bandas de Jazz tradicional ao redor de Toronto desde o começo de sua carreira musical. Embora fosse conhecido primeiramente como guitarrista, também tocava trompete em performances ao vivo. Healey era um colecionador inveterado de LPs e conseguiu fazer uma coleção de bem mais de 30.000 (sim, trinta mil) LPs de 78 rotações. Ele apresentava, de tempos em tempos, um programa de rádio na CBC,chamado My Kind of Jazz, onde ele tocava seus álbuns de sua vasta coleção. Também apresentava um programa semelhante na rádio Jazz de Toronto CJRT-FM, também conhecida como JAZZ FM91. Também viajava com seu outro grupo, The Jazz Wizards, tocando hot Jazz americano. Quando morreu, estavam planejando uma série de shows no Reino Unido, Alemanha e Holanda, em Abril de 2008. Healey apareceu no DVD “Gillan’s Inn”, do vocalista do Deep Purple Ian Gillan's. Também descobriu e ajudou a desenvolver as carreiras de outros artistas, incluindo Amanda Marshall e Terra Hazelton. 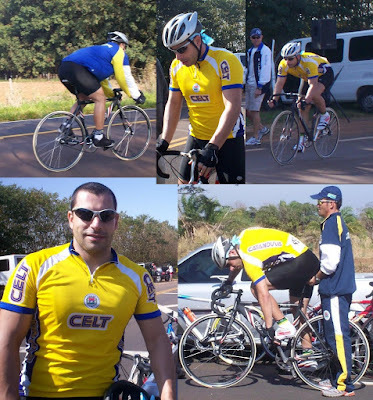 Em 11 de janeiro de 2007, Healey foi submetido a uma cirurgia para remoção de metástases nos dois pulmões. Durante os 18 meses anteriores teve dois sarcomas retirados de suas pernas. Em 2 de março de 2008, morreu de câncer no St. Joseph's Health Centre na sua cidade natal, Toronto. Tinha 41 anos de idade. Sua morte ocorreu um mês antes do lançamento de seu álbum, Mess of Blues, que é o seu primeiro álbum de rock/blues em oito anos. A memória de Healey se mantém viva através de sua esposa, Cristie, e de suas duas crianças.